New books in management and business at HSSL! 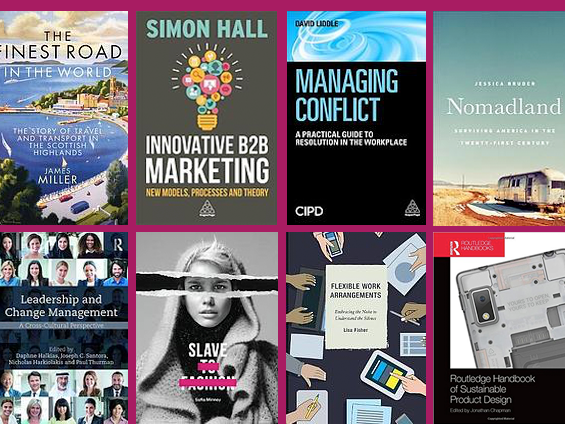 I’ve updated the list of new management and business titles with 80 new books that were recently added to our collection. I’ve also included a list of the new titles below. If there are any titles that we don’t have at the Library and that should be part of our collection, please feel free to send us your suggestions! Starr, M. K., & Gupta, S. K. (2017). The Routledge Companion to Production and Operations Management. London: Taylor and Francis. Merrifield, J. D., & Poulson, B. W. (2017). Restoring America’s fiscal constitution. Lanham, Maryland: Lexington Books. In Rietveld, M., & In Toledano, P. (2017). The new frontiers of sovereign investment. Peiyong, G. (2017). China’s Fiscal Policy. London: Taylor and Francis. In Hart, K. (2017). Money in a human economy. He, L. (2018). Hyperinflation: A world history. Ghosh, J., Chandrasekhar, C. P., & Patnaik, P. (2017). Demonetisation decoded: A critique of India’s currency experiment. Zhao, C., & Zhu, H. (2017). Financial Reform in China: The Way from Extraction to Inclusion. Milton: Taylor and Francis. Styhre, A. (2018). The making of shareholder welfare society: A study in corporate governance. In Nesvetailova, A. (2018). Shadow banking: Scope, origins and theories. In Gemzik-Salwach, A., & In Opolski, K. (2017). Financialization and the economy. Gonçalves, R., & Lopes, P. T. (2018). Accounting for biological assets. Solomon, M. R., & Lowrey, T. M. (2017). The Routledge Companion to Consumer Behavior. Illouz, E. (2018). Emotions as Commodities: Capitalism, Consumption and Authenticity. In Scheinbaum, A. C. (2018). The dark side of social media: A consumer psychology perspective. Brown, N. J. L., Lomas, T., & Eiroa-Orosa, F. J. (2017). The Routledge International Handbook of Critical Positive Psychology. Temperley, A. (2017). Inside knowledge: How women can thrive in professional service firms. Jain, B. M. (2017). China’s soft power diplomacy in South Asia: Myth or reality?. Iida, K. (2017). Japan’s Security and Economic Dependence on China and the United States: Cool Politics, Lukewarm Economics. Milton: Taylor and Francis. Salin, P. (2017). Competition and Free Trade. In Estefan, K., In Kuoni, C., & In Raicovich, L. (2017). Assuming boycott: Resistance, agency and cultural production. Schaberg, C. (2017). Airportness: The nature of flight. In Bitzan, J. D., & In Peoples, J. H. (2017). The economics of airport operations. Minney, S. (2017). Slave to fashion. In Bhattacharya, T., & Vogel, L. (2017). Social reproduction theory: Remapping class, recentring oppression. Jünger, E., In Hemming, L. P., & Costea, B. (2017). The worker: Dominion and form. Whitehead, M. (2017). Neuroliberalism: Behavioural government in the twenty first century. In Cassiers, I., In Maréchal, K., & In Méda, D. (2018). Post-growth economics and society: Exploring the paths of a social and ecological transition. Fadda, S., & Tridico, P. (2018). Inequality and uneven development in the post-crisis world. London: Taylor and Francis. In Magara, H., & In Amable, B. (2017). Growth, crisis, democracy: The political economy of social coalitions and policy regime change. Manyozo, L. (2017). Communicating development with communities. Harris, M., & O’Leary, M. B. (2017). Lessons for nonprofit and start-up leaders: Tales from a reluctant CEO. Loginova, A., & Mikheeva, I. V. (2018). The impact of WTO membership: A comparative analysis of China, Russia, and Ukraine. Park, T. K., & Greenberg, J. B. (2017). Hidden interests in credit and finance: Power, ethics, and social capital across the last millennium. Foxall, G. (2017). Context and Cognition in Consumer Psychology: How Perception and Emotion Guide Action. Pomeranz, K., & Topik, S. (2018). The world that trade created: Society, culture and the world economy, 1400 to the present. Dannreuther, R. (2017). Energy security. University, . A. C. D. C. (2017). Houses for aging socially: Developing third place ecologies. Bruder, J. (2017). Nomadland: Surviving America in the twenty-first century. Pao, E. K. (2017). Reset: My fight for inclusion and lasting change. Fisher, L. (2017). Flexible work arrangements: Embracing the noise to understand the silence. Kleinhample, M., & Kleinhample, J. (2016). Move aside, Mr. Ford, to make room for the new, more agile micro-factories. Stengel, J., & Post, T. (2017). Unleashing the innovators: How mature companies find new life with startups. Cook, C. (2017). The entrepreneurial project manager. In Sowa, J. E., & In Word, J. K. A. (2017). The nonprofit human resource management handbook: From theory to practice. Richardson, T. M., & Richardson, E. (2017). The Toyota engagement equation: How to understand and implement continuous improvement thinking in any organization. Keller, S., & Meaney, M. (2017). Leading organizations: Ten timeless truths. Friedman, J. P., Harris, J. C., & Lindeman, J. B. (2017). Dictionary of real estate terms. De, M. B. (2008). Japanese business dictionary. Tokyo: Tuttle. Kanade, M. (2017). The multilateral trading system and human rights: A governance space theory on linkages. Milton: Taylor and Francis. Quayle, M. (2017). Designed Leadership. Chapman, J. (2017). Routledge Handbook of Sustainable Product Design. Florence: Taylor and Francis. Lee, J. (2017). Venture Capital and Firm Performance. London: Taylor and Francis. Cho, H. J. (2017). Institutions, Partisanship and Credibility in Global Financial Markets. Lothian, T. (2017). Law and the wealth of nations: Finance, prosperity, and democracy. Hall, S. (2017). Innovative B2B marketing: New models, processes and theory. Henry, C., Nelson, T., & Lewis, K. (2017). The Routledge Companion to Global Female Entrepreneurship. London: Taylor and Francis. Sharp, L. (2017). Reconnecting People and Water: Public Engagement and Sustainable Urban Water Management. Sacolick, I. (2017). Driving digital: The leader’s guide to business transformation through technology. Liddle, D. (2017). Managing conflict: A practical guide to resolution in the workplace. Davenport, T. H., & Harris, J. G. (2017). Competing on analytics: The new science of winning. Sammons, P. A. (2017). Contract management: Core business competence. Taylor, M. L., & Søndergaard, M. (2017). Unraveling the mysteries of case study research: A guide for business and management students. Peterson, J. (2017). Count down: The past, present and uncertain future of the big four accounting firms. Ingham, J. (2017). The social organization: Developing employee connections and relationships for improved business performance. Mahadevan, J., & Mayer, C.-H. (2017). Muslim Minorities, Workplace Diversity and Reflexive HRM. Milton: Taylor and Francis. Salas, E., Rico, R., & Passmore, J. (2017). The Wiley-Blackwell Handbook of the Psychology of Team Working and Collaborative Processes. Newark: John Wiley & Sons, Incorporated. Rogelberg, S. G. (2016). 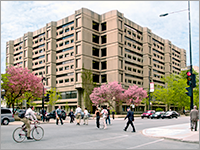 The SAGE Encyclopedia of Industrial and Organizational Psychology. Thousand Oaks: SAGE Publications. Sherry, J. F., & Fischer, E. (2017). Contemporary consumer culture theory. New York: Routledge, Taylor & Francis Group. In Assländer, M. S., & In Hudson, S. (2017). The handbook of business and corruption: Cross-sectoral experiences. In Marinov, M. (2017). Research handbook of marketing in emerging economies. Miller, J. (2017). The finest road in the world: The story of travel and transport in the Scottish Highlands. Doucouliagos, H., Freeman, R. B., & Laroche, P. (2017). The Economics of Trade Unions: A Study of a Research Field and Its Findings. Florence: Taylor and Francis. Howson, P. (2017). The Essentials of M&A Due Diligence. Milton: Taylor and Francis. In Halkias, D. (2017). Leadership and change management: A cross-cultural perspective. Mosey, S., Noke, H., & Kirkham, P. (2017). Building an Entrepreneurial Organisation. Florence: Taylor and Francis. Armstrong, P. (2017). Disruptive technologies: Understand, evaluate, respond. Ha, A. Y., & Tang, C. S. (2016). Handbook of Information Exchange in Supply Chain Management. Cham: Springer International Publishing. Kuksa, I., & Fisher, T. (2016). Design for Personalisation. Florence: Taylor and Francis. In Hertel, G. (2017). The Wiley Blackwell handbook of the psychology of the Internet at work. Jaziri-Bouagina, D., & Jamil, G. L. (2017). Handbook of Research on Tacit Knowledge Management for Organizational Success. Hershey: IGI Global. 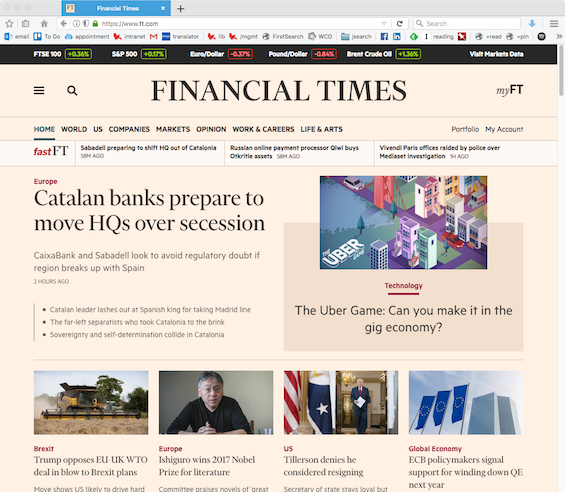 While most of the Library’s online access to newspaper is through one of our databases, we do have a direct subscription to the Financial Times that provides McGill students, faculty, and staff have free access to the FT.com web site, as well as their mobile apps (iOS and Android). Note that if you are off-campus you will need to have McGill’s VPN software installed and running. We’ve also noticed a problem where Vividata will timeout after 20 minutes or so of use, even if you are actively using the database. Make sure you save or export data you have found as soon as you can. Anyone familiar with PMB Online will notice that the interface has changed quite a bit. We ourselves are still in the process of trying to figure it out, to see if we can access the same data that we had access to in PMB Online. Once we’ve figured that out we’ll be publishing an FAQ as well as a video to show how to use the database. In the meantime, we thought we would share the link with everyone for those who want to explore the database on their own. Please send any questions, comments, or feedback to me at edward.bilodeau@mcgill.ca. If you were just trying to access some data on consumer behaviour and preferences, you might want to try our new Mintel database. 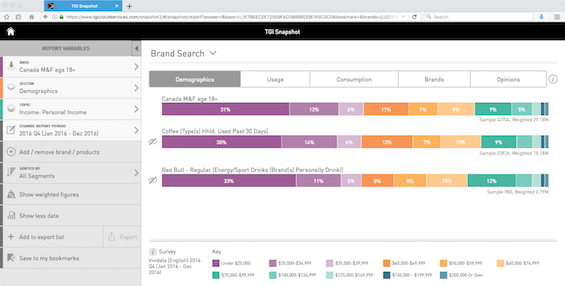 Mintel includes consumer behaviour data with its industry reports, as well as a “databook” Excel spreadsheet including details of consumer surveys. Just search for the industry/product you are interested in, read the “consumer” section of the report and download the databook.